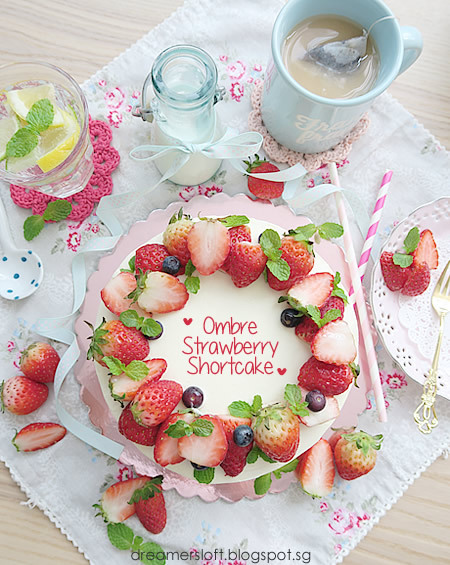 Oh couldn't believe that it has been one year since my last trip to Japan! 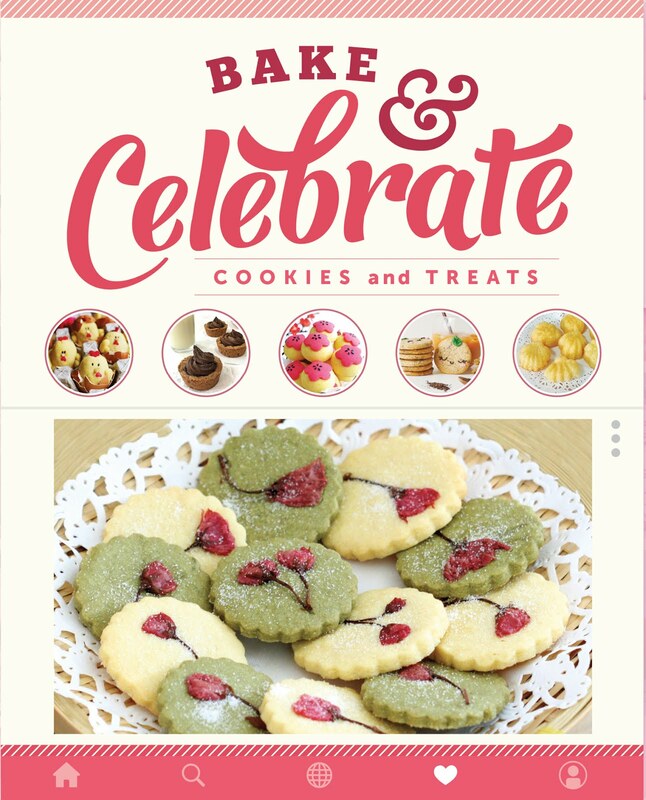 All of us (except for the kiddo) have been to Kansai a few times, but somehow apart from my detailed journal back in Dec 2007, I realised I didn't blog about my subsequent trips (cannot remember one or two) to Kansai at all. 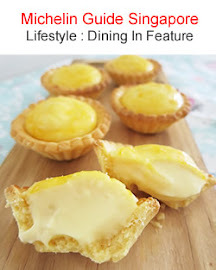 Since we have elderly and a young kiddo and had been to many must-see attractions already, the itinerary planned was very relaxed, basically to enjoy the cold weather and food! 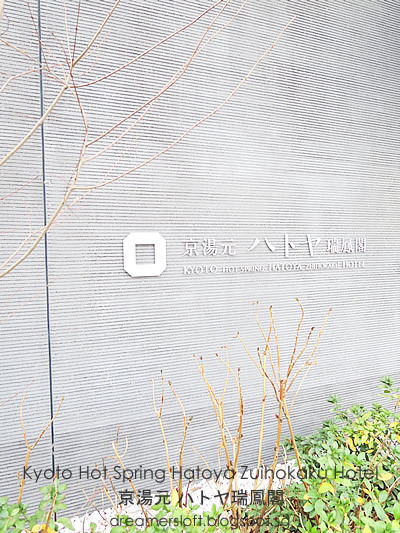 As we took a daytime flight, by the time we reached Kansai International Airport and transferred to Kyoto via train, it was close to midnight. 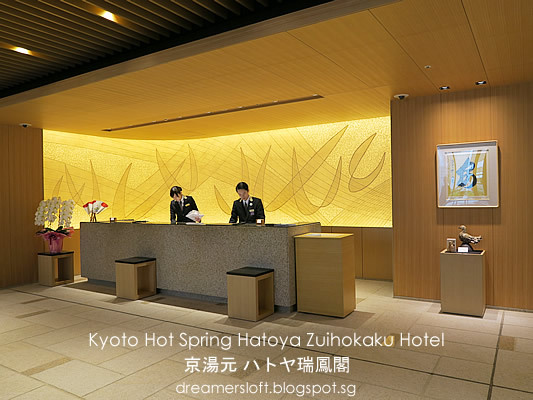 Hence after an extensive research and consideration about timing and all, decided to stay at Kyoto Hot Spring Hatoya Zuihokaku Hotel which is a 8-10 min walk from Kyoto JR station. 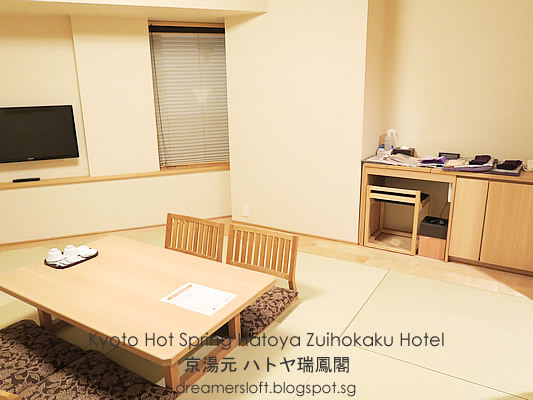 Initially I wanted to stay at a traditional ryokan with hot spring but most ryokans are located some distance away from Kyoto station. Had to forgo the idea as it was going to be cold and everyone would be tired by the long travelling already, and it would be difficult to get cab for 5 of us. 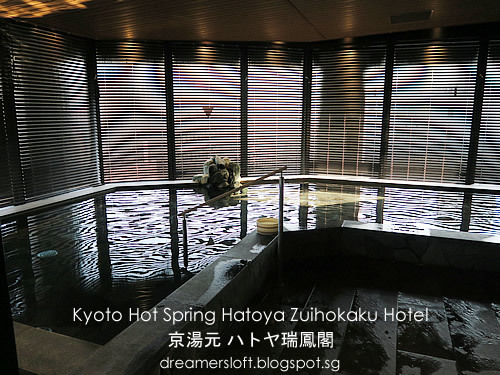 Kyoto Hot Spring Hatoya Zuihokaku Hotel sort of met with all my expectations. 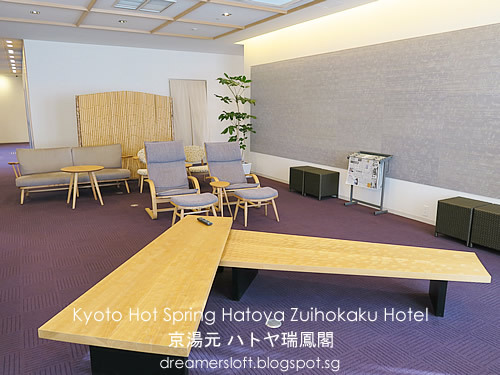 It was within walking distance from Kyoto station, it has traditional tatami rooms and it even has a natural hot spring where water for the baths is drawn up from the underground of the hotel. 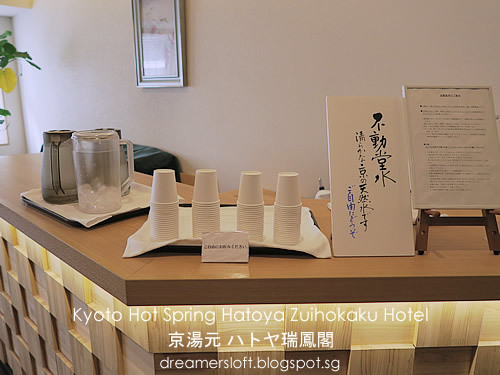 In fact, it is supposedly the only hotel near Kyoto station with natural hot spring water. So I guess this was the best option I had. 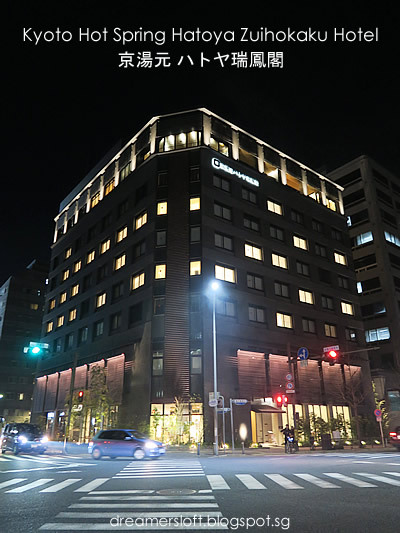 Didn't want to change hotel (to a ryokan) either because we were only staying for 3 nights and it would be inconvenient logistically for all of us. 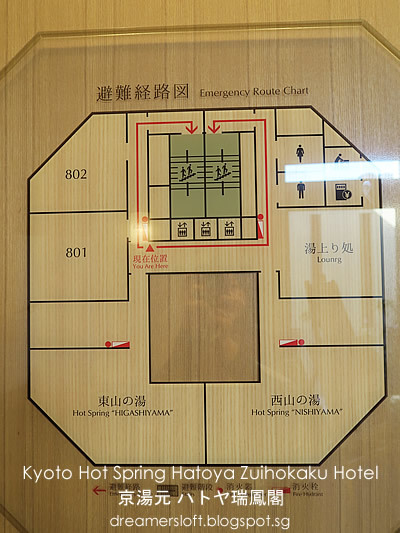 Staff at the hotel were gracious and friendly and spoke a little English, so basic communication wasn't an issue. Lounge area at the hotel lobby. Restaurant at lobby area where breakfast is served, we didn't have opportunity to dine there though. 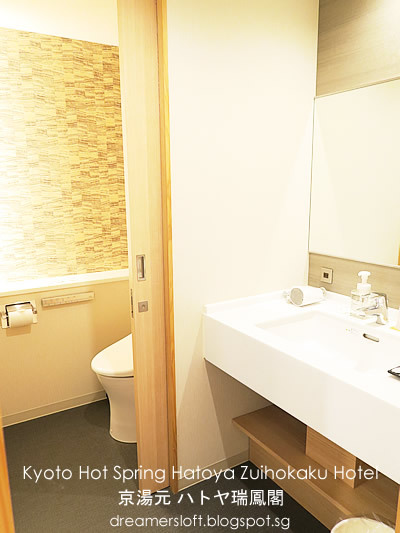 The room was well-maintained and speckless, true to Japanese standards. 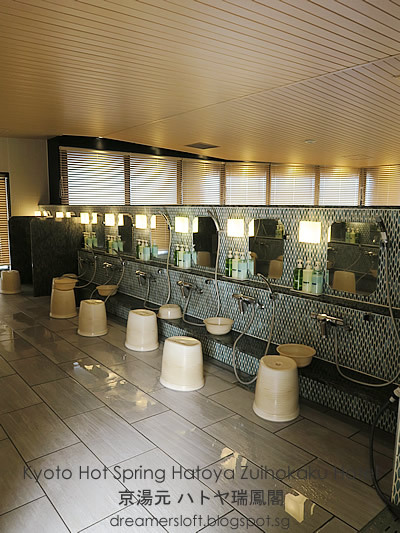 Bathroom was spacious spotless as well. 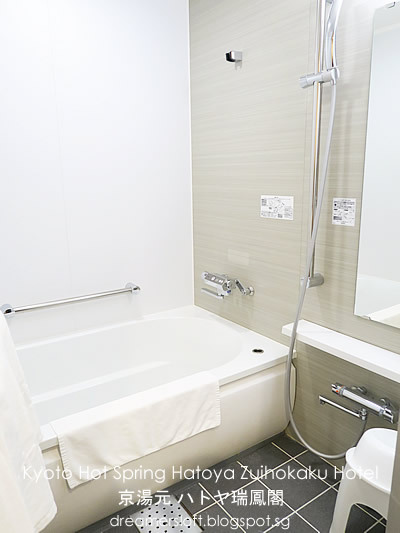 Was surprised by the size of the bathtub because usually the baths in Japanese hotels are small and squarish in size. 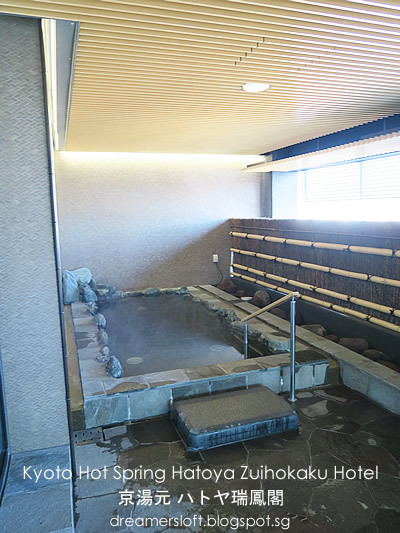 The highlight of this hotel is the hot spring, and I must say the hot spring was indeed popular during the period we stayed. 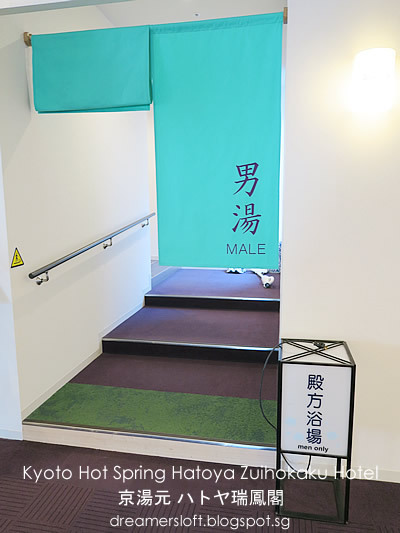 There were always people in the onsen that I couldn't take any photos at all. 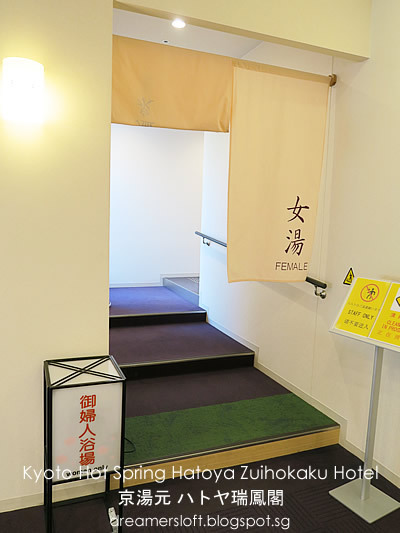 (unlike the ryokans I stayed at the outskirt areas where usually I was the only person or only a couple of people who would leave shortly). Anyways, I waited till the morning before checking out and when the staff were starting to wash the baths to quickly snap some photos. 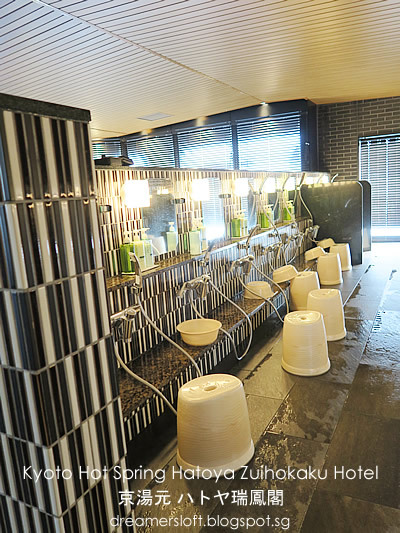 The male and female baths are switched every day after the washing. 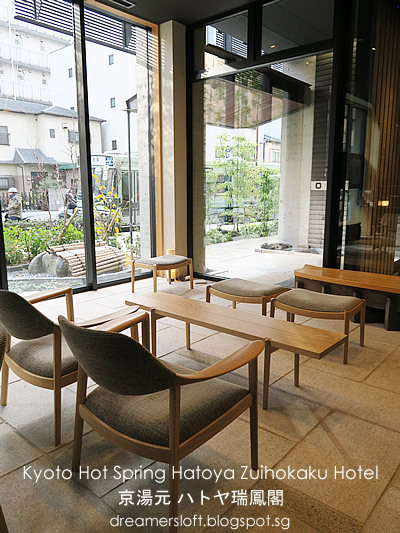 Lounge area outside the baths where guests could enjoy natural spring water free of charge. 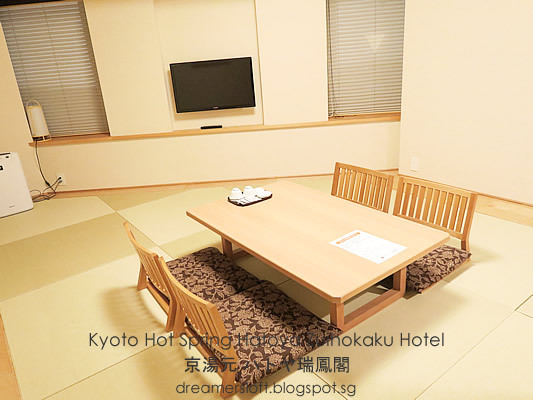 Overall the stay at this hotel was enjoyable and highly recommended for anyone who wish to stay near Kyoto Station and yet enjoy tatami rooms with natural onsen.